We’re very excited to be co-producing the award winning Lip Service’s latest show. The comedy duo are currently in technical rehearsals for the world premiere of The Picture of Doreen Gray, which opens this Thursday 16 October at the Coliseum. If you’ve seen a Lip Service production before you may have some idea of what’s in store – mostly a hilarious literary deconstruction. I’m really thrilled to be once again working with Lip Service, they were worthy and popular winners of the Stage Door Foundation Award for Excellence at last year’s Manchester Theatre Awards. 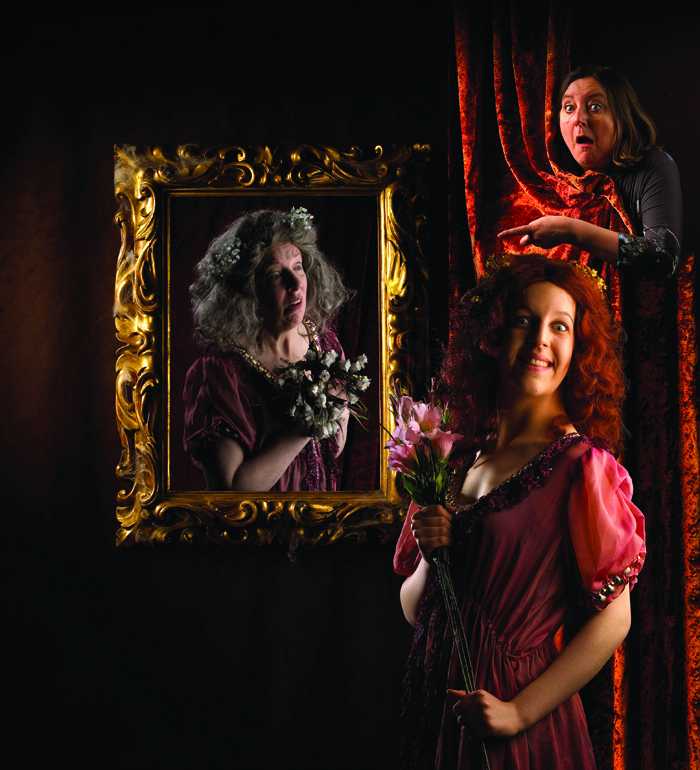 The comedy genius of Maggie Fox and Sue Ryding has been making people laugh, in a professional capacity, since 1985. You might remember them from last year’s Scandinavian crime spoof Inspector Norse where we had a knitted set. Although one has to be reminded not to take anything for granted with a script by Sue and Maggie as they are experts at turning a show on its head at the drop of a hat (a knitted hat in the case of Inspector Norse). Next week our community choir begins rehearsals for The Picture of Doreen Gray. I know what fun people had being part of Lip Service’s Desperate to be Doris choir a few years ago. The show opens in Oldham before touring the length and breadth of the country, so another proud moment. And sorry to mention Christmas in October but ‘oh yes we are’ fast approaching Panto season. 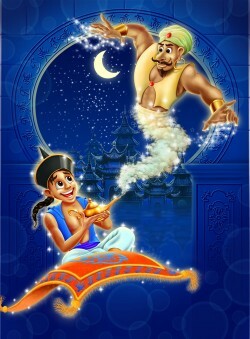 This year it’s Aladdin from 15 November – Saturday 10 January. It’s the final stages of casting for the show including the roles of Genie and the Slave of the Ring. They, and all the team, look forward to the marathon of 12 shows a week over the 12 week run of the show. Exhausting to even think about it! Don’t forget to book your tickets before it’s too late. You certainly have to get in early for our annual Christmas show.